To begin with, the Khandadhara waterfall will completely dry up, depriving tens of thousands of the water of life. “The miners are demons…they not only eat the soil and trees and rock, but even the water,” says a Pauri Bhuiya woman in Phuljhar. “Kankala Devi gave us this water, these demons will consume it too. We have to get rid of them or they will eat up everything.” All around the Khandadhar range, the tribals are gearing up for a fight—not only for their own survival, but in defense of a common heritage of humankind. ROURKELA: The vegetation cover around bio-rich Khandadhar waterfall and its surroundings is depleting fast and water yield of the perennial waterfall is visibly declining.Located 85 km from Rourkela in the tribal hinterland of Talbahali gram panchayat in the Bonai sub-division of Sundargarh district, mining is being attributed as the reason behind degradation of the waterfall. The Khandadhar waterfall originates from one of the hills under the Malangtoli hill range. While a large stream from the hilltop forms the waterfall, the same hill works as a sink to generate nearly two dozen rivulets which flow as water channels in various directions. CPM leader Banamali Dhupal, who has been working in the region for over 20 years, said the impact of the environmental imbalance is felt. He further said that mining activities by the Orissa Mining Corporation and a private operator in the area is affecting the bio-rich reserve. Sources said that the forest cover in 20 km radius of the waterfall has also depleted in the last 20 years. Old-timers said once Haldikudar, Talbahali and Mahulpada gram panchayats in the periphery used to have an awe-inspiring dense forest housing various kinds of wildlife. Time and again, people have been urging the authorities concerned to take up remedial measures. Though delayed, the Bonai forest division has conducted a study to preserve and protect the waterfall. The study recommended massive soil conservation projects at the hilltop to redeem the loss.A proposal in this regard would be sent to the government for approval, said Bonai DFO AK Mishra. He said additionally, the Forest Department has plans to take up afforestation programme in over 40 hectares on the onset of monsoon as the seedlings planted last year did not survive due to the erratic rainfall. Bhubaneswar, Feb. 6: If you thought of Orissa as a home to beautiful beaches, awesome temples and exotic wildlife sanctuaries, do not forget to add waterfalls to the list. Almost all the districts of the state have one or more falls, but some are associated with popular destinations like protected forests, wildlife sanctuaries and temples because, in most cases, tourists are not interested to see just waterfalls, feel officials of the tourism department. But the recent rise in the interest of people in getting into eco-tourism sites, there could be a chance to get serious travellers to do some trekking around waterfalls. Alok Mishra, marketing manager with the Orissa Tourism Development Corporation (OTDC), said that apart from the regular packages, emphasis was also given to promote waterfalls as major destinations as done in states like Maharashtra and Kerela, but connectivity through roads and infrastructure facility for tourists to stay should be upgraded to explore their potential. Former joint director of the tourism department Biranchi Mishra, who is also a well-known travel writer, felt that waterfalls do attract tourists at places like Hrishankar, Pradhanpat, Barehipani, Jorandha, Khandadhar and Sanghagra and Badaghagra, but these need to be clubbed and packaged with other religious, historical, forest areas so that tourists could be more interested to include the places in their travel list. “Like Barehipani and Jorandha in Similipal Tiger Reserve are two beautiful waterfalls of the state. But they are attached to the tourists’ travel plan who want to visit the protected areas. But people coming to see the falls in Keonjhar district — Sanghagra and Badaghagra — might be interested in coffee plantations and observing the lifestyle of the tribal families. So we have to integrate them. Likewise, the waterfalls of Nrusinghanath and Harishankar have other nearby attractions like temples and medicinal plants. Pradhanpat falls in Deogarh district had the first hydroelectricity generating unit when there was no hydro-electric power concept in Orissa. It showed the foresightedness of the then ruler of the princely state called Bamanda. We have to have a complete database on such things and inform the travellers,” he said. Orissa’s pride among all the reserved forests, Similipal Tiger Reserve, has got this stepped waterfall which descends from the Meghasani hills in Mayurbhanj district. It is the highest waterfall of the state coming down from a height of 400 metres. Barehipani’s beauty from the viewpoint on the other side of the hill is a thing to remember. As the birds in the forest become quiet at dusk, the sound of the waterfall become very prominent. The waterfall looks breathtaking in full moon. Similipal is also home to Jorandha (150 metres) amidst the rich Sal vegetation. The tall trees around the fall create a wonderful ambience. Devkund falls, in periphery of Similipal Tiger Reserve, has a series of beautiful waterfalls and the shrine of goddess Ambika. It is situated at a distance of 65km from Baripada and 140km from Chandipur. On the outer periphery of the Sal forest, the perennial waterfall is situated under the Udala block. The waterfalls from the hilltop in five stages by creating five “kundas” or reservoirs named Amrita Kunda, Ghrita Kunda, Haladi Kunda, Devi Kunda and Deva Kunda. On the banks of the river Dev festivals like Raja and Makar Sankranti are celebrated every year. This beautiful waterfall in the mineral-rich forests of Sundargarh district descends from a height of 225metres and is the second highest waterfall in the state. The magnificent view of the cascading waters also makes for a good picnic spot and the entire area is a treasure trove of rare medicinal plants. The place is 114km from the steel township of Rourkela. Part of the Ghagra river, a tributary of Baitarani, the waterfall is 10km away from Keonjhar town. The 60metre fall is also near the Sanghagra falls (30metres), lying 5km from the district headquarters town. 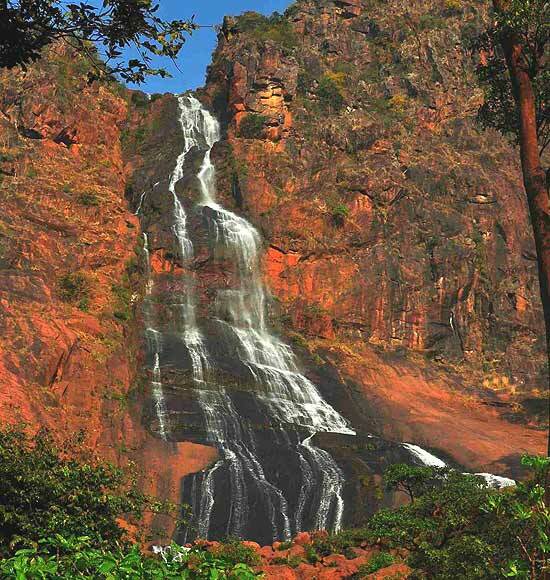 These two falls are popular picnic spots near Keonjhar town. However, another picturesque spot is Gonasika (45km from Keonjhar) where the river Baitarani goes underground briefly and emerges further down over a stone projection shaped like the nose of a cow. The sacred hills of Gandhamardan in Bargarh district enshrines the temple of Nrusimhanath. Waterfalls like Bhimadhar, Gadadhar, Guptadhar and Chaladhar are beautiful locations. Besides the falls, tourists also love to see ancient archaeological remains present in the area. The spot is 20km from Nuapada. On the southern side of Gandhamardan hills, Harishankar shines with a series of beautiful waterfalls cascading on the hill slopes and the last one provides a water slide to the amusement of bathers. An added advantage to the two places of Nrusimhanath and Harishankar is the 16km trekking route by which travellers can go from Harishankar to Nrusimhanath and vice-versa and the journey ensures meeting many rare, endangered and precious medicinal plants. Even historians say that influence of Buddhism was also seen in the archaeological works in the entire area. According to Chinese scholar Hiuen Tsang, the belt might be the seat of a Buddhist university called Polo-mo-lo-ki-li. 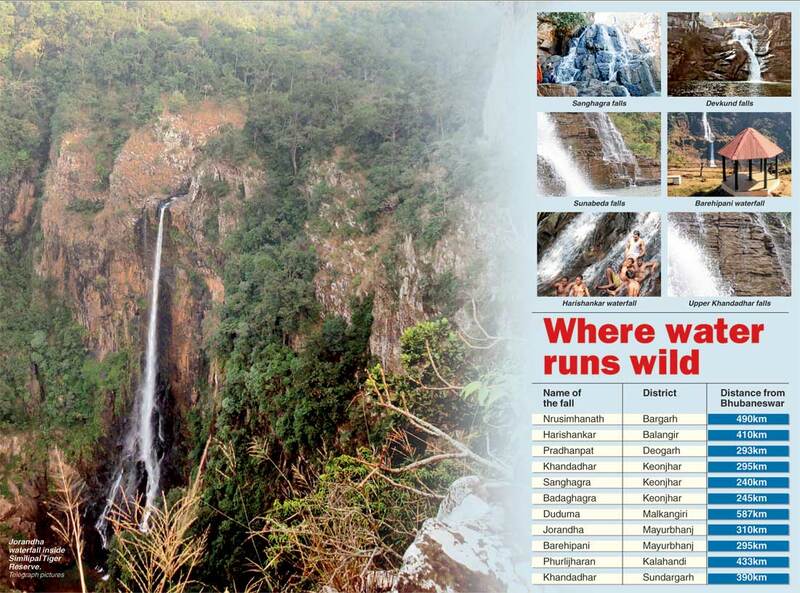 The 16metre high waterfall is only 15km from Bhawanipatna in Kalahandi district. The rainbows created by sun rays playing with the water spray creates a special charm. This beautiful fall is part of Pradhanpat hill, which offers a scenic view and the water comes with several steps from the top creating several natural swimming pools on the hill itself. Close to the Deogarh town, the place is 96km from Sambalpur on NH-6. This waterfall had the first hydro-electric power unit in the state. This region was previously under the princely state of Bamanda. The southern-most district of the state, Malkangiri, has got this beautiful waterfall besides several beautiful lakes spread across the region. The fall is situated 70km from Jeypore town. Duduma waterfall descends from a height of 155metres and feeds water to Machhakunda Dam. Apart from the waterfalls listed in tourism packages, Gandahati in Gajapati district and Khandadhar, Gundichaghai and Handibhanga in Keonjhar district also draw large crowds. Bhubaneswar, Aug 4 (PTI) Ruling out possibility of damages to the state”s tallest water fall at Khandadhar in Sundargarh district, Orissa government today said mining activities would in no way affect the local ecology. This was stated by Steel and Mines minister Raghunath Mohanty while replying a question on the state government”s move to hand over iron ore reserve at Khandadhar to South Korean steel major, Posco. “There is no possibility of water fall being affected due to mining activities at Khandadhar,” Mohanty told the house while the state government had already recommended Posco-India”s name for prospecting license (PL) on 2500 hectare of land in the iron rich belt. 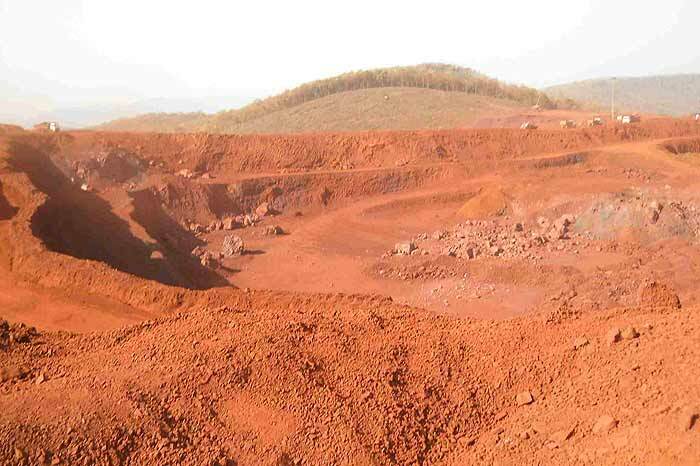 Though the matter of handing over iron ore reserve at Khandadhar was subjudice, the state government was determined to explore the mineral deposited near the water fall. Recently, Orissa High Court while disposing a case, asked the state government to reconsider its decision to recommend Posco-India”s name for PL over Khandadhar iron ore reserve. Stating that mining would begin after a proper environment impact assessment, the minister said an environment management plan would be in place before that. Adequate steps would be taken to maintain ecological balance in the area which was full of forest and hills, the minister said.